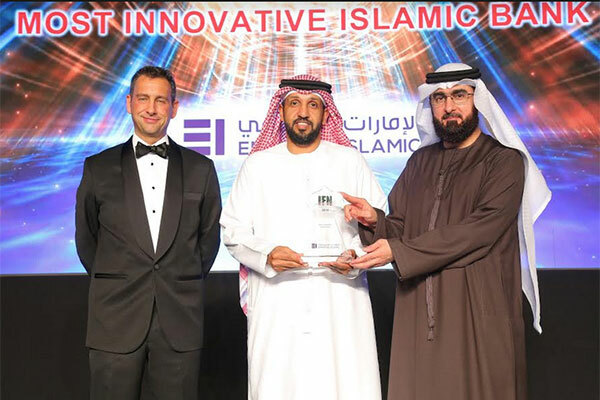 Emirates Islamic, the leading Islamic financial institution in the UAE, was recently awarded ‘Most Innovative Islamic Bank’ by Islamic Finance News at a ceremony held in Dubai. The award reflects Emirates Islamic’s commitment to digital innovation, reflected in its introduction of several ‘first to market’ solutions in the global Islamic banking sector. The bank has been a pioneer among Islamic peers in contactless payment solutions as the first Islamic financial institution to bring all three wallets, namely Apple Pay, Samsung Pay, and Google Pay to its customers. Emirates Islamic was also the first Islamic bank in the UAE to launch a mobile banking app, which now has a 4.5/5 App Store Rating with over 17,000 reviews. The bank’s digital-first approach has been steadily gaining traction, with approximately 60% of customers now banking through online and mobile banking channels. Recent innovative features in digital banking include cardless withdrawal at ATMs, smart pass authentication for additional security and remote branch queue ticket, bringing additional convenience to customers. “Emirates Islamic has long been at the forefront of innovation in the Islamic financial services sector, and this award is testimony to the success of our customer-centric digital transformation efforts,” said Suhail Bin Tarraf, chief operating officer, Emirates Islamic.